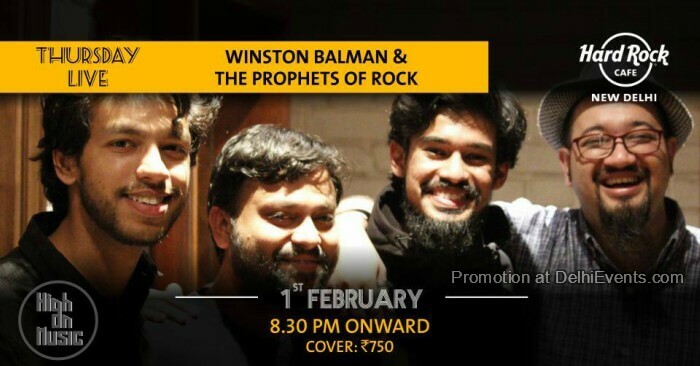 Event Description : Winston Balman & The Prophets of Rock - Thursday Live! "Winston Balman the “artist” came into being way back in 2003, while in school in Dehradun. It was then, that he found his calling, and realized he wanted to devote his life to music and other performing arts. You can often hear him say this with a smile, ''if I wasn't doing this I would have been doing nothing ''. There is an intensity of his music that makes you want to go “once more”.